Running Press Adult, 9780762443192, 264pp. Julie Scardina is the Sea World, Busch Gardens, and Discovery Cove Animal Ambassador. She serves on the board of the SeaWorld & Busch Gardens Conservation Fund and is actively involved with several other conservation organizations including the World Wildlife Fund. Julie has appeared on Larry King Live and Dr. Oz . She is a monthly guest on the Today Show and a regular guest on The Tonight Show with Jay Leno as she has for the past 14 years. 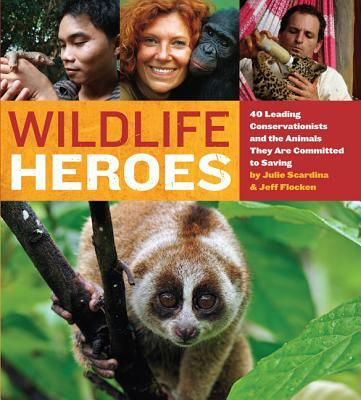 Jeff Flocken is the DC Office Director for the International Fund for Animal Welfare (IFAW). He also works on campaigns conserving whales, polar bears, elephants, lions, and a variety of other species through this position. Jeff worked for five years as an International Affairs Specialist in the U.S. Fish & Wildlife Service's Division of International Conservation. He lives in Arlington, VA.